Eight years ago, Anne Elliot was persuaded that her family's honour was more important than her own happiness. She has suffered ever since. Now the man she turned away has returned. Can Captain Wentworth forgive Anne, or will he be charmed instead by the beautiful Louisa? Will Anne be persuaded to marry her cousin, or will she find the strength to follow her heart? The extravagance of Anne's foolish father, the greedy plotting of false friends, and a near-fatal accident bring danger into Anne's safe world. Their hearts assailed by resentment, regrets and rivals, can Anne and Captain Wentworth now reach across the void that separates them to love each other again? 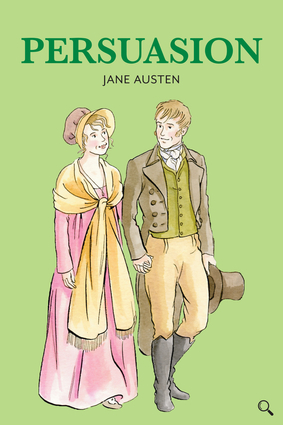 Jane Austen (1775—1817) was an English novelist best known for her six major novels, Sense and Sensibility, Pride and Prejudice, Persuasion, Northanger Abbey, Mansfield Park, and Emma.